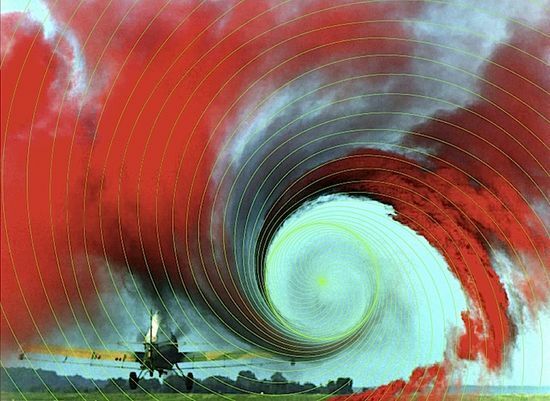 Phi Vortex in Aerodynamics - a crop duster's wingtip creates a phi vortex made visible by a red smoke flare. 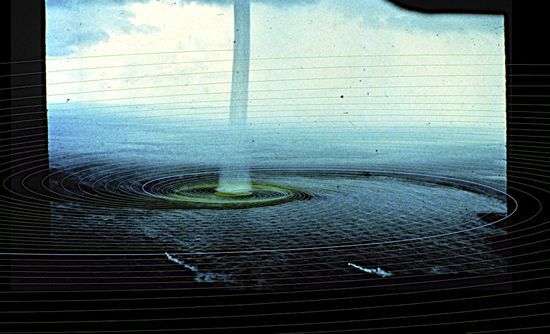 Phi Vortex in Water Spout - a tornado over water creates a phi vortex pattern in the water's surface. 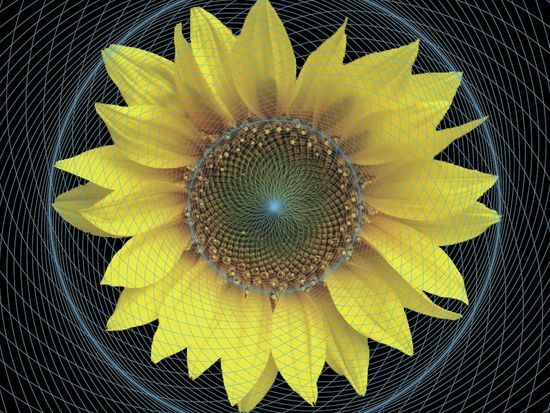 Sunflower Seed Head - a classic example of the phi double spiral is found in sunflower seed heads, and numerous other flower heads and plants. 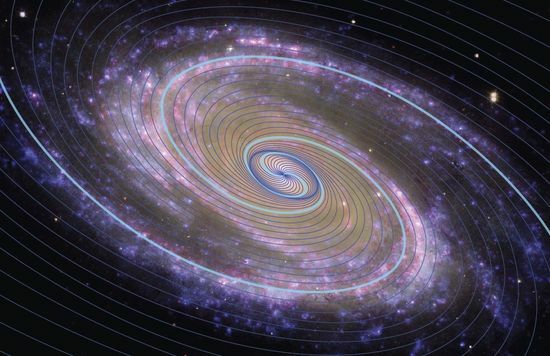 Phi Vortex in Galaxy - at the macro scale, the largest individual structures in the cosmos also exhibit the phi ratio as seen in the spiral arms of this galaxy. Double spirals can also be observed in many cacti and flowers, in the pattern of tree bark as it wraps around trunks and branches, and in the wave patterns left in the sand as an ocean wave recedes. 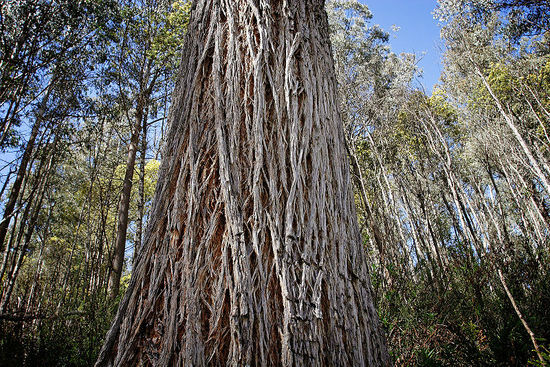 They are often distorted, such as stretched and elongated as in the sand patterns, and tubular as in the tree trunks. 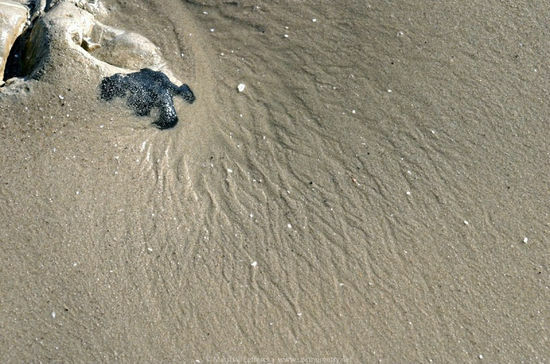 Double Spiral in Sand - when a wave pulls back from the shore it does so in a double spiral manner, leaving a basketweave pattern in the sand. Double Spiral in Tree Bark - the double spiral pattern also conforms to a "tubular" structure, such as can be seen in the pattern in the bark of trees.